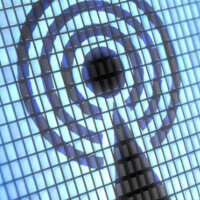 On Friday, the FCC gave its approval for further testing of LTE-U, or LTE-Unlicensed. Verizon and Qualcomm are among the big companies interested in testing LTE-U to see if it is something that can be commercialized in the future. Meanwhile, Google and various cable companies are worried that Wi-Fi networks will suffer from overcrowding if LTE-U is approved. LTE-U uses an LTE signal in an unlicensed portion of the Wi-Fi spectrum (5GHz). Unlike spectrum belonging exclusively to a wireless carrier for which it has a license, LTE-U signals have to compete with other devices sending and receiving signals in the same 5GHz part of the Wi-Fi band. These competing signals include home broadband networks, hotspots offered to customers of certain businesses, and more. Verizon and Qualcomm say that it can use the spectrum for LTE signals without interfering with the other users of the airwaves. Google says that such use of the LTE-U spectrum will lead to crowding out of Wi-Fi users in that band. But some experts have called Google's arguments speculative and embarrassing since it did not use any LTE-U equipment to conduct its tests. Instead, it was forced to use a signal generator. Under the terms of the FCC's ruling, Qualcomm will test LTE-U in two Verizon facilities to make sure that there is no interference with the use of LTE-U. It would seem that even with a positive test, we are still in the first inning of a nine-inning game.